Our excitement for the new Star Trek series just got kicked into warp drive. Today, CBS announced that Bryan Fuller, the mad genius behind tragically cancelled shows like Dead Like Me, Wonderfalls, Pushing Daisies, and Hannibal, will be the fearless captain of the network's new Trek series. This is a big deal for a few reasons. Fuller is a big name talent with a reputation for breathing fresh new life into old stories, something he did with style (and a lot of blood) while working on NBC's critically acclaimed Hannibal. Also, he's far from a Trek newbie: the writer got his start penning scripts for Star Trek: Deep Space Nine and later put in time as a co-producer on Star: Trek Voyager. Judging from his work and previous interviews, this guy clearly knows his Trek. Fuller's involvement signals that the show will get the creative -- and budgetary -- attention it deserves, something that seemed in question when CBS revealed last year that the show would be airing on its digital streaming service CBS All Access, instead of on the network itself. 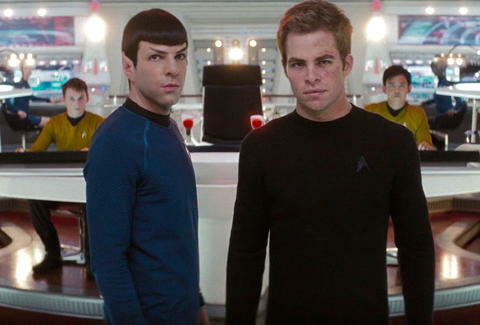 Star Trek won't merely be web-isodes to prop up the fledgling film franchise. With Buller in the captain's seat, the show will get a chance to live long and prosper as its own independent entity. Fuller will serve as the show's co-creator and executive producer on the project, alongside Kurtzman, who was a co-writer on the first two films in J.J. Abrams film series. The third film in the series, the Justin Lin directed Star Trek Beyond, will be released this summer on July 22, in time for the franchise's 50th anniversary, and setting the stage for more Trek to come soon. The only note of caution is this: Fuller is also currently working on an adaptation of Neil Gaiman's American Gods for Starz. And he's been linked to an Amazing Stories reboot for NBC as well. Will he have enough time to beam himself back and forth between the writing rooms for all these shows? Luckily, there's plenty of time to think about these questions: the CBS Star Trek show isn't scheduled to debut until 2017. Dan Jackson is a staff writer at Thrillist Entertainment and he hopes this version of Star Trek brings back this punk. He's on Twitter: @danielvjackson.